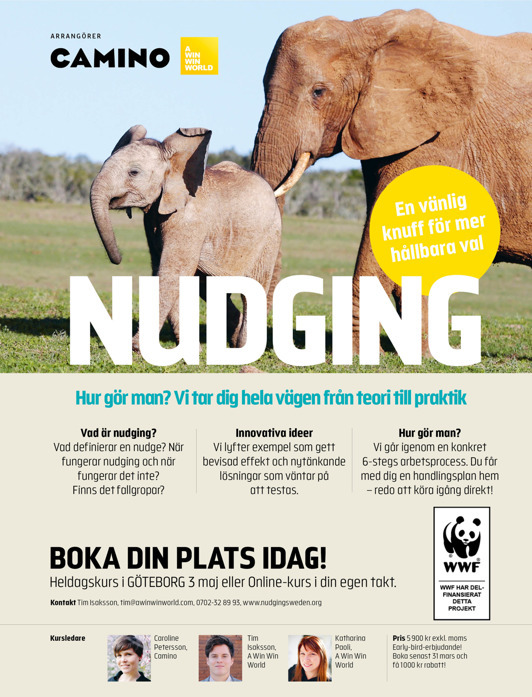 We are happy to announce a new date for our popular nudging course - May 3 in Gothenburg. This time in cooperation with Camino. Can't make it? For the first time you will also be able to take the course online, at your own pace.